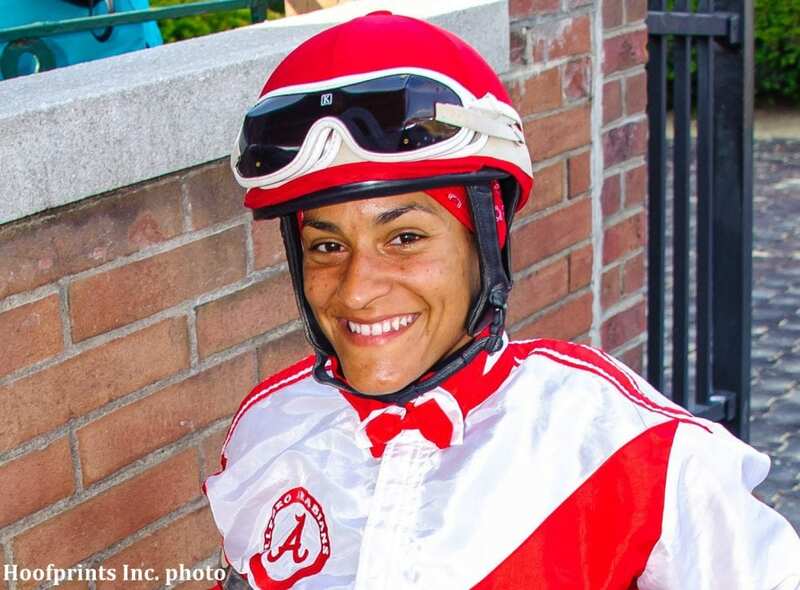 Carol Cedeno broke the Delaware Park record for number of wins in a day and was voted Jockeys' Guild Foundation Detox Jockey of the Week for July 9 – 15, 2018. The award is voted on by a panel of experts for riding accomplishments by members of the Jockeys' Guild, the organization which represents more than 950 riders in North America. Jockey of the Week is sponsored by FoundationDetox.com, America's #1 Equine Toxin Remover. Cedeno won six Thoroughbred races on Delaware's Wednesday card, then returned for her seventh victory of the day in the final, an event for Arabians. The seventh win was a first for any rider at Delaware, though six other riders have each notched six-win days. Cedeno's six Thoroughbred wins were by a combined 11 lengths, and just two were post-time favorites. The six wins included four consecutive wins to start the card. She was on a heavy favorite in the Arabian race, winning by nine lengths. She added $130,030 in earnings to her yearly total of $1,196,846, and she has career earnings of over $17.5 million. In 2018, she has won 48 of her 354 starts and she is 725 for 5,720 lifetime. This entry was posted in People and tagged carol cedeno, delaware park, jockey of the week, Jockeys, Jockeys Guild Foundation, jockeytalk360 by Press Release. Bookmark the permalink.